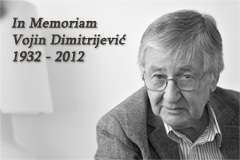 The Belgrade Centre for Human Rights most vehemently condemns the comment Deputy Assembly Speaker and MP Vjerica Radeta posted on her Twitter account in response to the passing of Hatidža Mehmedović, the Chairwoman of the Mothers of Srebrenica association. Statements inciting ethnic and religious hatred and intolerance, and denying and relativising the crime of genocide and war crimes, as well as offensive attitudes towards victims of such crimes, are part of the everyday narrative of the Serbian Radical Party, in which Radeta holds the office of Deputy President. Her comment is merely the latest, albeit the most drastic, illustration of her increasingly frequent hate speech. The BCHR is gravely concerned by the total absence of response by all the relevant institutions and the fact that impunity for inciting ethnic and religious hatred has rendered hate speech in public discourse commonplace. We hereby also appeal to the National Assembly to take a view on this issue and send a clear and unambiguous message condemning such actions by MPs. The BCHR will in this case, too, apply the existing legal mechanisms of protection, in the hope that the relevant institutions will not remain silent to such gross violations of the Constitution and the law.